What's at DRUID 2013 then? Druidry stresses the mystery of poetic inspiration and explores healing, divination and sacred mythology. However, not all Druid orders are Pagan. Some are charitable organisations. Others follow particular esoteric teachings not necessarily sympathetic to Pagan beliefs, and some Druid orders are of an artistic or Christian nature. Following the problems at Stonehenge in 1988, The Council of British Druid Orders was founded as a focus for communication between the various different groups. Some Pagan-sympathetic member orders are: The Glastonbury Order of Druids, which works with the Glastonbury mythos; The London Druid group, founded in 1986 which has associated Celtic and magical groups; and the Druid Clan of Dana, a daughter organisation of the Fellowship of Isis, and the Loyal Arthurian Warband headed by the charismatic King Arthur Pendragon. After considerable thought, the British Druid Order resigned from COBDO and were shortly followed by the Order of Bards, Ovates and Druids. The Council's founding aim, to set up an organisation in which Druid chiefs and their representatives could discuss the nature of Druidry had, they felt, got lost. It was a political forum, struggling to grasp together a unified voice of Druidry that would be strong enough to make a dent in the armour of whomsoever it was disagreeing with. While there is without doubt a valid need for such an organisation, it was decided that it could only work effectively if created out of an agreed standpoint; within Druidry itself the difference of opinions was simply too great. It was time to accept that there was no unified voice spanning the whole community. Acknowledging this, honouring it and committing to celebrate this diversity, a new Druid Forum was in its fledgling stages. News of its growth and schedule was published in ‘The Druids' Voice’ magazine (formerly the voice of COBDO and now of the wider Druid community and at one timeThe Druid Network house magazine), and continues to arise sporadically in OBOD's newsletter, the Druids of Albion newsletter, the OBOD, TDN and BDO web sites and no doubt further afield as well. 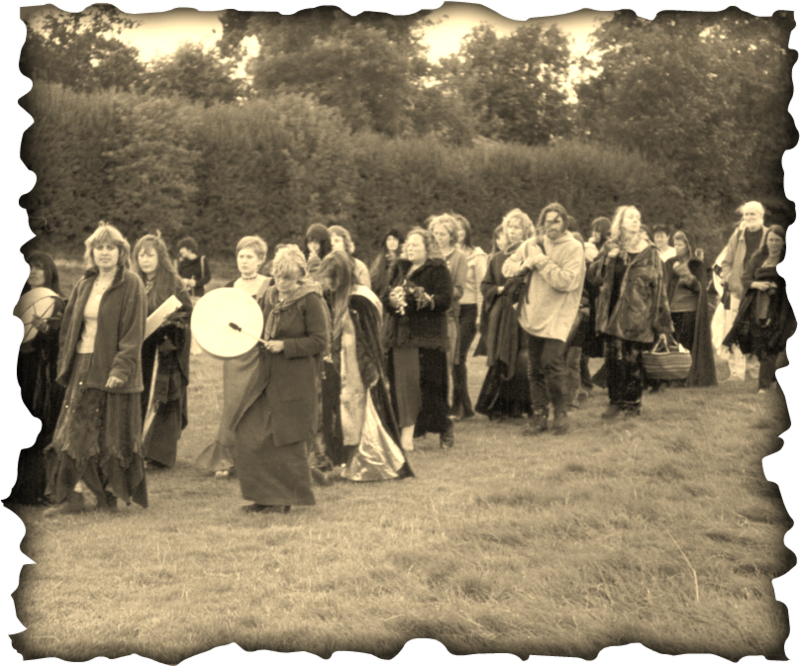 The Druid Forum had its inaugural meeting in Avebury in the summer of 1996, where a loose, informal grouping brought together druids from different orders to discuss modern druidry in all its forms. The Druid Forum has become a gathering of Orders that meet to discuss Druid spirituality, teachings and ideas that arise from within the Druid community. The last major event was the highly successful Druid 2002 during August 2002 in Stourbridge, West Midlands, which featured The Druid Network staff, BDO members, The Order of Bards, Ovates and Druids, The Ancient Order of Druids, The Druids of Albion, Spirit Of The Trees, Professor Ronald Hutton of The University of Bristol, and The Albion Conclave. The Forum is not a pressure group, has no officers, takes no votes and has no collective voice, gathering simply to share teachings, experiences, research and celebration. Whilst it was originally formed by Philip Shallcrass of the British Druid Order, its last steward was/is Geoff Boswell, himself a member of a number of Druid Orders and organisations.